14:00 PM, December 21, 2018, Cocos-BCX TestNet was officially launched. Together with the TestNet launched, Cocos-BCX opened up the Developer Program with 30 spots offered to developers in China region to join Alpha testing on Cocos-BCX TestNet. 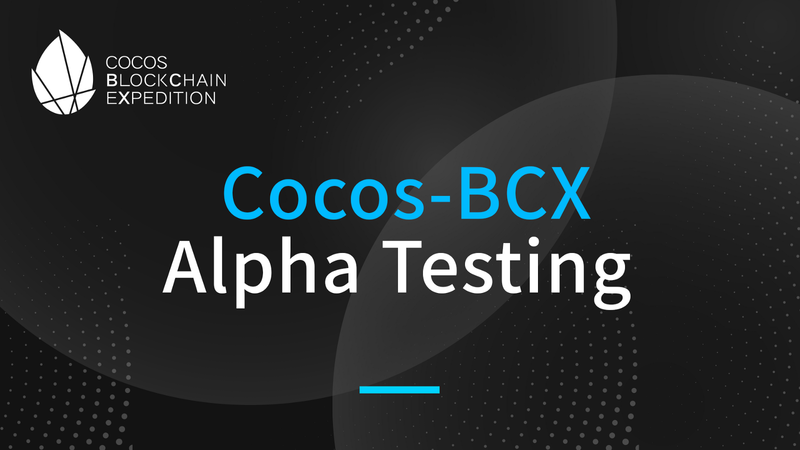 Now with the English version technical documentations ready in place, Cocos-BCX further invites developers (individual or team) globally to join Alpha testing on the platform! Participants of the Developer Program have the priority to take part in Cocos-BCX’s future technical events. In order to better facilitate the alpha testing and participants’ game development, Cocos-BCX team will organize weekly online AMA with participants of the Developer Program, to get feedbacks and exchange technical knowledge and ideas. During the alpha testing stage, engineers of Cocos-BCX will support the testing teams to solve the problems they encounter in developing their blockchain games. Outstanding projects will enjoy the priority to be launched on Cocos-BCX chain and get marketing support. The games developed on Cocos-BCX chain will be able to share the traffic resource of the platform. Outstanding teams will have the opportunity to get financial support from Cocos-BCX. Candidates with experience in game development will be given priority in selection. Candidates with intention to deploy games on Cocos-BCX will be given priority in selection. Candidates with experience in blockchain technology research and coding will be given priority in selection. Above are not mandatory requirements for candidates. All developers (individuals or teams) are welcome to apply for the program. Once the application is received, Cocos-BCX team will evaluate and select the outstanding candidates. Notification letters will be sent to the admittees by email. This program is open in long run and temporarily with no deadline. Cocos-BCX team reserves all rights to final interpretation of above program. We welcome developers to join Cocos-BCX Discord channel and feel free to leave messages if there’s any question.